Recently I attended a beautiful morning brunch hosted by Amazon Australia in celebration of their women’s local fashion store on Amazon.com.au, an exclusively Australian-born brand destination for women’s clothing, shoes, watches and accessories, it has a curated edit of over 150 local brands. With the Australian market competing against international brands on a daily, Amazon Australia has created a fantastic online shop to support our Aussie brands. Featuring new and known local women's fashion labels. 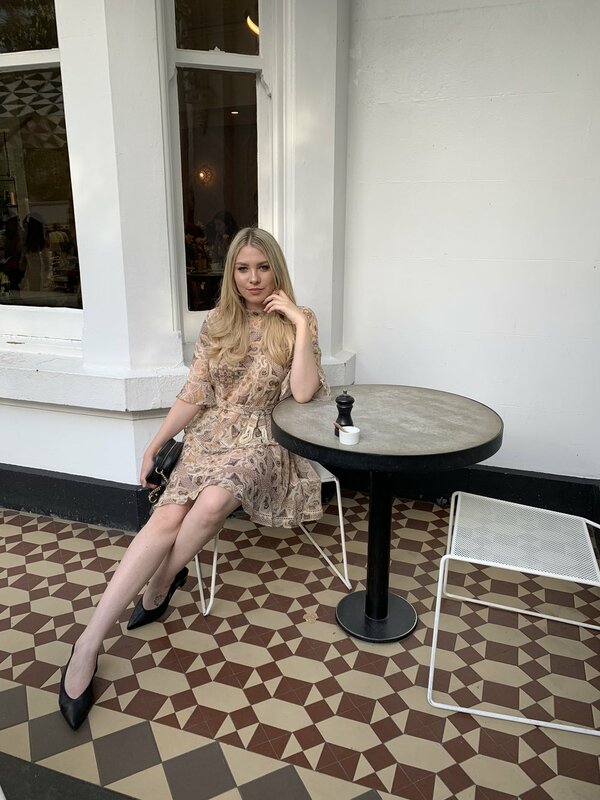 The Women's Local Fashion Store has a range of shoes, swimwear, dresses and everything in between, the women's Local Fashion Store has the answer to all your style needs. The long-awaited Fendi store has opened its first flagship boutique doors in Australia on Collins Street, Melbourne; located at the site of the historical Athenaeum Club. The Fendi boutique is where it belongs in Collins Street, a street renowned for its luxury designer stores in Melbourne. The new boutique has both Women’s and Men’s Ready-to-Wear collections, Accessories and Leather Goods in the latest FENDI store concept that reflects both the Maison’s DNA and its deep heritage. The eye capturing iconic signature FF logo fluttered around the room while guests admired the new boutique and the latest Fendi collection as they enjoyed the sounds of Melbourne born musicians KLLO. Special guests at the celebratory opening event included actress and model, Elsa Pataky and model, Jordan Barrett. Other notable guests who were also seen in the stunning Fendi pieces were Jessica Gomes, Olympia Valance, Jackson Gallagher and Mavournee Hazel from Melbourne. Guest had also flown in from Sydney to attend the historical event were Carmen Hamilton, Nadia Fairfax, Yan Yan Chan, Nathan Jolliffe and Roberta Pecoraro from Sydney also joined. 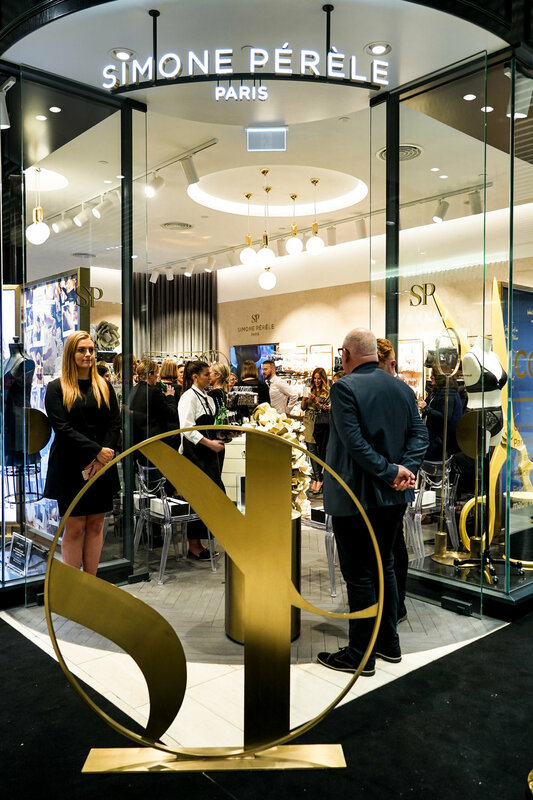 Simone Pérèle has opened its chateau doors to Melbourne's gorgeous mall, Emporium. Simone Pérèle opened her first store in Paris in 1948, making it her mission to liberate women into a world where comfort and style exist. Sometimes we forget that lace bras aren't only for "special occasions" and sometimes they can be a pain to wear all day. Since wearing my Simone Pérèle, this is simply not the case! I no longer need an efficient excuse to wear my beautiful pieces under my outfits, and I no longer feel annoyance from the bras and underwear. So I was excited to attend and see the new collection and see what next to add to my lingerie collection. The event was perfectly French, with it being small and intimate, guests were able to see the lingerie in detail. The bras are supportive, but also with added detail with gorgeous lace and embroidery on pieces. The new flagship boutique offers a range of fitting services to help you find the "one". With a variety of beautiful lace pieces to support and flatter your shape and sleepwear giving you a morning in Paris vibe. I could personally picture myself wearing this while buttering my croissant. Simone Pérèle offers a 30 Day Fit Guarantee means that returns and exchanges are totally free, so you can be sure your fit is always perfect. It's great knowing that a boutique will be able to help you find the support/size you need.